The Exposición Rural, one of the biggest fairs of the year, kicks off today until the 31st of July. The event, which brings together the livestock and agricultural industry, is one of the most important for professionals in the area, but also, for enthusiastic visitors who flock to Palermo to see the exhibited farm animals, shows and experience the lively vibe. 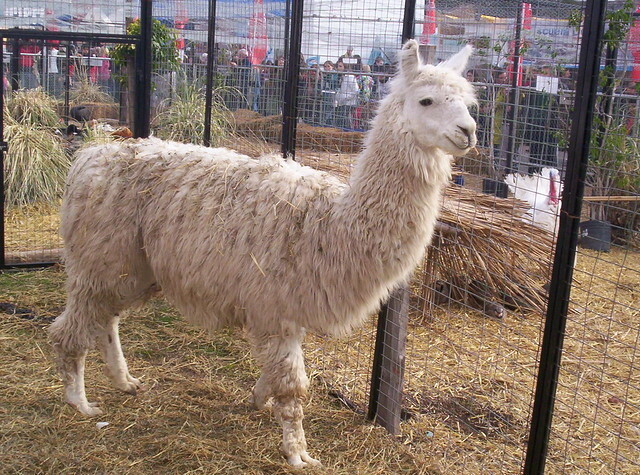 exhibition, the best cattle are prized, and there are a a number of cattle and horse shows, as well as a host of other activities.. Llamas, pigs, chicks and other rural animals are also on display and are a great attraction for visiting families. Additionally, there are also other typical campo activities such as traditional dances, a Pato tournament (similar to polo) on the 21st at 6pm, and a demonstration of horse taming on the 28th of June at 3pm. From the 19th to the 22nd of July there will also be a display of regional foods including cereals, beers, wines and liquors, preserved foods, sweets, organic products, dried fruits, cheeses, olive oil and dulce de leches. Tickets for Expo La Rural cost 25 pesos, and the fair is open from 9am to 8pm until the 31st of July. Sarmiento 2704, Palermo. This entry was posted in Buenos Aires Agenda and tagged Agriculture, argentina, buenos aires,, campo, Cattle, competitions, farm animals, horeses, La Rural by Fierro Hotel Staff. Bookmark the permalink.